The puppy of a pug in the first days without mom and brothers will be very lonely and scared in his new home, so your job is to make this period as pleasant as possible for baby. Select for a puppy a private place where he could feel safe and relax. Until the baby gets used to his new home, often pet it and take care. So it will be easier to adapt to the new location and overcome stress. Nice to take the breeder to a rag or toy with the smell of the mother "nests" and put it in the new house – this will help the puppy feel more secure. Also, try not to make a place for the little dragon somewhere far away from your bed or the room where family members spend most of their time. The pug is a small dog, and the puppy will feel very tiny. Ensure it's not lost in your huge apartment and could find their way to their new owners. The first months of life is necessary to monitor the diet of a pug puppy more closely than in adulthood. Make sure you take the breeder portion of the feed, are accustomed to the baby. The first 3 days should be to feed it to them gradually introducing into the diet of new, unfamiliar products. Otherwise, the puppy could have a stomach upset, which is not very good. 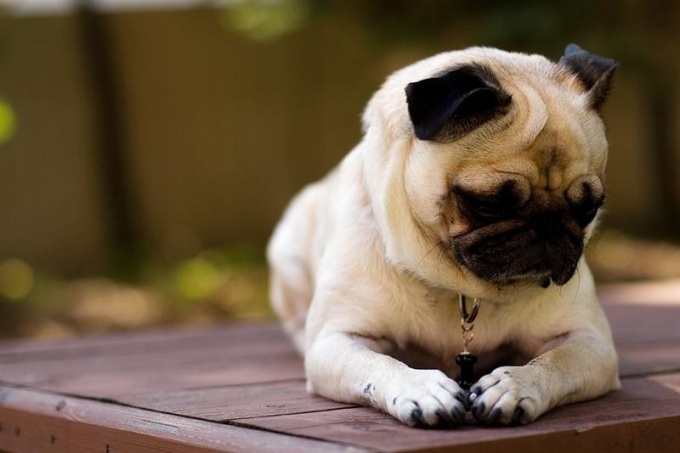 Don't let your pug is too thin food, because of the specific structure of the muzzle, he will have difficulty in eating and will continue to choke. Puppy food should be fresh and of good quality. In any case, do not overfeed your pet. Pugs – the breed is prone to obesity and monitor their diet should start from an early age. Any thing that lies on the floor or within reach of the puppy, be sure to get him in my mouth. So watch to on the floor not littered with objects that pug can chew or swallow small toys, rubber balls, products of glass or brittle plastic. Dogs love to chew everything and it's good for their teeth, but toys should be very durable! It is best to consult the pet store or ask advice from the vet. Be prepared for the fact that your phone, your favorite shoes or a belt from the jeans can also be in the teeth of the young Explorer. If this happens, is to blame only themselves – after all, it is you didn't put valuable items away. As for the puppy, for it is just a toy.